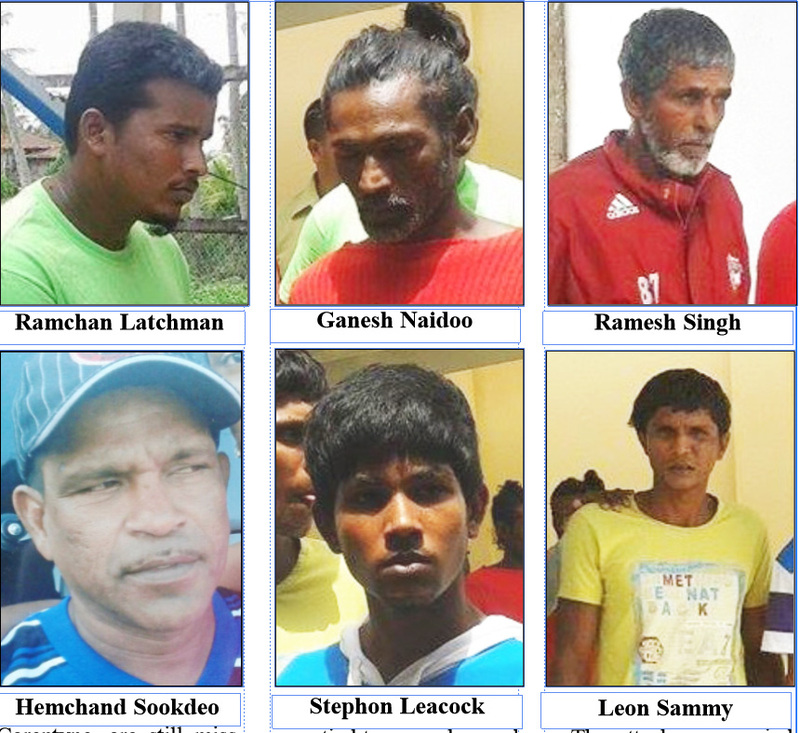 The five men accused of murdering fisherman Hemchand Sookdeo, who was thrown overboard during a pirate attack on the Corentyne River a week ago, were yesterday charged with the capital offence of murder when they were arraigned at the Number 51 Magistrate’s Court, at Corentyne, Berbice. 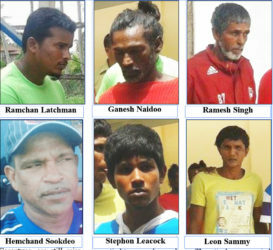 The five men, Ramchan Latchman, 23, of Number 65 Village, Ganesh Naidoo, 41 of Number 79 Village, Ramesh Singh, 53, of Liverpool Village, Stephon Leacock, 19, of Lot 366 Number 77 Village and Leon Sammy, 29, of Lot 1 Number 75 Village, Corentyne, Berbice, were not required to plead to the charge, which was instituted under the Piracy Act. 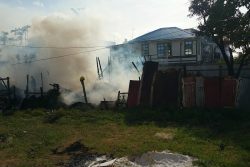 Bail was refused and the five men were remanded to prison by Magistrate Charyln Artiga, who adjourned the case until July 6th for report. The murder charge was instituted against the five fishermen on the advice of the Director of Public Prosecutions Shalimar Ali-Hack. The men, who are all fishers, are being accused of murdering Sookdeo, of Number 55 Village, during the course of piracy on May 28th. While Sookdeo’s body was found tangled in seines with a chop wound to the back of his head hours after the attack, three other crew members, Munesh Churman, called ‘Boyo,’ 26, Dochan Sukra, 54, called ‘Butcher’ and Dhanpaul Ramphal, all of whom hail from Upper Corentyne, are still missing and are feared dead in wake of the attack. Commander of ‘B’ Division Ian Amsterdam had previously told Stabroek News that according to information received, the three fishermen that are still missing were tied to an anchor and thrown overboard. 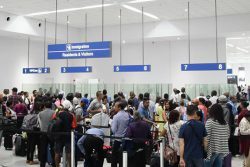 Police say that one of the five men had confessed to the crimes committed, implicating, Latchman, who was captain of the boat that is suspected to have been involved in the attack.